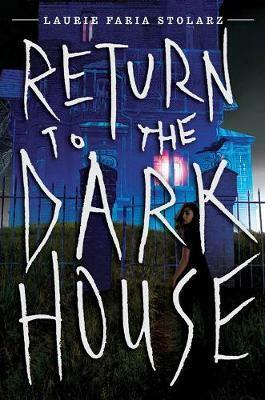 Ivy Jensen survived the Dark House once, but can she make it out a second time? Two months have passed since Ivy narrowly escaped the Nightmare Elf's grip, but the memories of Parker, Natalie, Shayla, Frankie, and Garth continue to haunt her. Their killer is still out there-somewhere. The police trail has gone cold, though, and it's up to Ivy to piece together the clues to find him. When a cryptic video arrives in her in-box, Ivy finds herself back in the spotlight, this time on a twisted scavenger hunt through the dark, ancient halls of a long-forgotten Gothic building. Ivy's not alone, either. Taylor Monroe has returned to the scene. But can Taylor be trusted? Or is she another pawn in the Nightmare Elf's deadly game? Laurie Faria Stolarz crafts a mesmerizing thriller that will leave readers looking over their shoulders. Praise for Welcome to the Dark House"The suspense starts pounding when the teens enter the park and doesn't stop until readers are ready for the sequel." "Kirkus""